I have met a number of life coaches over the last decade, a growing trend that I admit I’ve always thought a little hokey. Hokey is the best word I can come up with, indicating a general unease or weirdness about the concept without any real data or even anecdotes attached to that weirdness. It just seemed odd and suspicious (my apologies to any who do that kind of thing for a full-time living). Without looking at any real data, I thought of it as a job for folks who liked to talk about things more than they actually liked DOING things. It made me think of that old saying, “Those who can, do; those who can’t, teach.” Despite the critique in that saying, I know my own desire to teach is a spiritual gift, and I have embraced that gift with gusto. I am coming to see coaching in a similar fashion, and my opinion of it has changed. The primary thing that changed my opinion on Christian coaching was (as fits a math teacher) some data on the subject. In this video, Ross Kaellner at Tailored Coaching shared interesting results from a survey that convinced me that there was more benefit to a coaching/mentor relationship (with clear parameters and accountability from both sides to persevere with the relationship) than I had originally credited to such a venture. This session will lay a foundation for orienting a women’s ministry around the larger vision for discipleship in the local church of which it is a part. In Luke 24, Jesus taught His disciples that all of Scripture points to Him, including the hardest parts of the Old Testament. This session will cover what a Jesus-centered hermeneutic looks like when developing and presenting content from Scripture. As leaders develop vision, content, and strategies, even the best will fail without the gospel as the oil that keeps the engine running. Friction inevitably develops when leaders attach their identity to how well their strategies are received. The good news of Jesus offers us an identity that holds fast whether we are affirmed or critiqued in ministry. How do leaders communicate the riches of the knowledge of God in ways that women in a particular ministry can receive and apply? This session will aid in developing practical theology—content that is both doctrinally correct and relevant to women’s daily lives. Every individual church’s culture is at least slightly different from the next. This session will focus on understanding the language and culture of a leader’s particular church and translating into that culture in ways women in that ministry can receive. This session will help apply our understanding of the Triune God and our union with Christ to the various issues that cause frustration and discouragement in women’s ministries–gossip, family dynamics, critique, friction with other leaders, etc. I am particularly excited about the first session, on helping folks develop women’s ministries that reinforce the larger mission of the church, working with pastors and elders to be genuine helps to their work of equipping disciples in the church. Pastors need the support of women leaders in their congregations. And women need the support of their pastors in a congregation. Building mutual relationships between pastors, elders, deacons, and deaconesses for the discipleship of the church is a great need about which I hear regularly. If any of this sounds intriguing or helpful to you, you can find more information about it here. There is a cost, but I hope that cost feels reasonable for the time invested by all parties to make this a mutually accountable relationship. The first session begins on Friday, April 20. All monthly sessions will be on Fridays from 10 am – 12 pm Eastern. I apologize to west coast friends and hope down the road to offer sessions more convenient to those in mountain and pacific time zones. The two things that I find most disappointing in women’s programs at church are the lack of in-depth teaching and sharing and the one-sided opinions or points of view. It sounds like this coaching will greatly help the in-depth teaching aspect, but how do you address that consequence of having primarily one point of view in a womens-only (or even men’s-only) setting? I gain so much more from teaching that comes from both men and women, that I find lacking in women’s church programs. Just wondering… I’m not trying to start a disagreement, just something I have a hard time reconciling and wondering what your thoughts are on this. That’s a good thing to contemplate. On this blog, I TRY to suggest ideas but not feel threatened when folks hold a differing opinion. I know I’ve benefited a ton over the years from hearing thoughts from people with a differing view. I will think about how that discussion might be helpful in this coaching cohort. Cool! We’ve seen ministry coaching be really valuable both in Australia and Tanzania. That’s good to know. I have officially put my suspicions of it to rest. Teaching a biblical foundation for women’s ministry in the context of the local church has been my calling for the last several years here in my home state. I teach at a Christian liberal arts university nearby, and also lead training and equipping sessions at our state women’s leadership gathering. There are some really helpful resources out there and we have also developed a curriculum we use to train women in churches how to develop a biblical model for ministering to women. Women Leading Women, by Jaye Martin and Terri Stovall, and Word-Filled Women’s Ministry by The Gospel Coalition are both excellent resources. 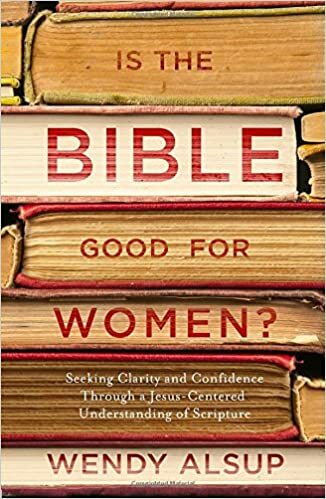 Lifeway Women’s Ministry also has tons of ideas and resources for women’s ministry leaders. Yikes, indeed. I knew that’d be a problem, but I was unable to come up with a better time. Wow, Wendy, this sounds wonderful. (The alliteration is unintentional.) It almost makes me wish I was involved in women’s ministry. May you as well as the participants be blessed beyond measure!